Young Falcons - The Cape Academy of Maths, Science & Technology: Centre of Excellence! 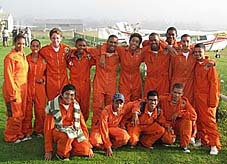 ... "Praestantia"
2 year aviation programme run by the South African Air Force. Students train on simulators that prepare them for solo flying.